Roy Kobatake began his financial services career in 1967. Roy specializes in assisting individuals, families, and businesses with the accumulation and preservation of wealth. He utilizes a comprehensive process which addresses investment, retirement, estate, and business strategies. Over the course of Roy’s tenure at Tax & Financial Group, he has assisted in the formation of Team Kaizen, a group of experienced trusted advisors and staff who work together to provide state of the art comprehensive financial services. Roy maintains a commitment to continuing education in the areas of financial products, tax laws and advanced strategies which has earned him an excellent reputation in the industry. Roy is a Chartered Life Underwriter (CLU), Chartered Financial Consultant (ChFC), and holds his Life and Property and Casualty Insurance Licenses as well as the Series 6, 7, 63, and 65 securities registrations. He is also a Registered Representative and an Investment Advisor Representative with Securian Financial Services, Inc., member FINRA/SIPC. As an involved and active member in the Honolulu business community, Roy often finds himself in a unique position of being able to support charitable causes. Roy serves as a board member of the Central YMCA and is a member of Friends of Hickam. He is also a part of the University of Hawaii’s Alumni Association. 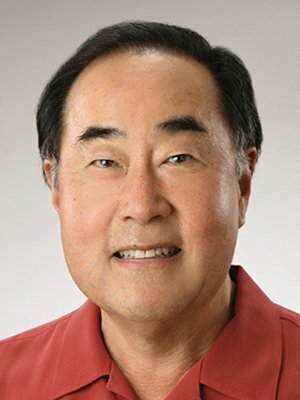 Born and raised in Honolulu, was the Co-Owner of Four Star Insurance Agency from 1988 until a merger with Noguchi and Associates, Inc. in 1998. In his free time, you can find Roy with friends and colleagues out on the golf course and exercising.